Lots of Avies.. and a b-day gift!now with Widow - GLAM! My first doll post of 2016!. I seemed to only made 2 doll post last year not with much to show for my absents either. So her are the end dolls I did since my last post. My MMP entry! Dr.Sea Green. Clair Barton avie I made myself. Base highly edited by me.. I was hope'ing to have the 4 dolls of Black Widow(Natasha Romanoff) done by now but has you can tell didn't happen.. Sorry ..
Last edited by StormNicki on Sat Jan 02, 2016 11:51 pm, edited 1 time in total. Re: Lots of Avies.. and a b-day gift! Gorgeous dolls, as always ;D I love the redheads hair the best! I love my Avie sis thank you. I need to name that nightmare lol He is pretty so no wonder he thinks he is god's gift to mares lol, I also need to do Adam and his nightmare/sister *sighs* Variel turned out so freaking awesome and you stayed with the craeture wonderfully. Sarah Merian turned out so cool and I love her necklace and she looks great in her Green Lantern shirt. Clair Barton is rocking and got her personality down wonderfully and with Arrows! 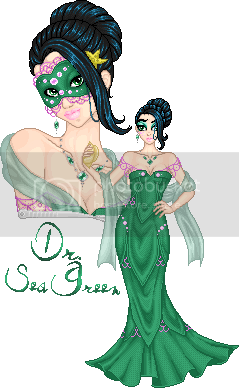 Dr.Sea Green needs more attention but she looks stunning. yasss you finished the black widow dolls!! they look killer! great job! 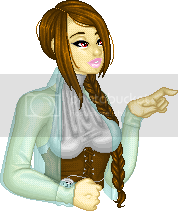 the variel girl portrait and fullbody is also amazing. tons of little details!